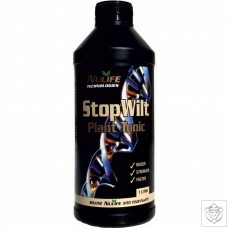 The technological breakthrough came when we were able to isolate the very substance that plants use to fight disease. As with all our products, AU60 ROOT REPAIR has undergone extensive trials. To put it quite simply AU60 ROOT REPAIR fights disease FOR the plant. This allows the plant to flourish uninhibited by disease and grow bigger, stronger and healthier AU60 ROOT REPAIR is not a toxic pesticide. It’s an organic, naturally occurring substance that controls disease. Hypergro contains all the nutrients essential for plant growth. Hypergro contains not only the highest percentage of calcium any of the clear single part nutrients available but in addition, contains compounds not contained in any other nutrient. 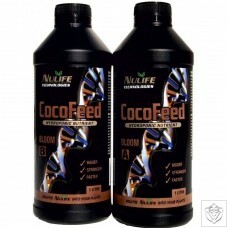 These compounds allow the plant to take up more nutrient than it would normally. In effect the plant is being “forced fed". MEGAYIELD is an organic additive designed to increase bud size and the overall crop yield of your favorite plants. 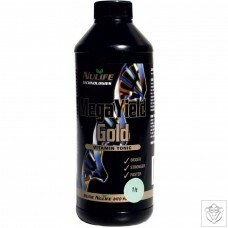 MEGAYIELD contains natural amino acids, vitamins, specialist flowering hormone and anti stress formula plus over 40 macro and micro nutrients including the metals copper, zinc, gold and silver. The problem of slow initial growth affects many crops. Quite often this problem is caused by a lack of nitrogen that, in itself, has a number of causes. In recirculating systems, denitrification may occur due to a lack of oxygen in the system. There is quite a demand for oxygen not only by the plant but also by various bacteria within the system. NITROBOOST is compounded from slow and fast release forms of organic nitrogen and is an inexpensive method of overcoming most deficiencies. QUICKSTART is a unique blend of plant nutrients and natural vitamins and hormones which combine to have a synergistic effect on strike rate and subsequent growth of clones. This totally unique formula enables the clone to act like a complete plant EVEN THOUGH IT HAS NO ROOTS. 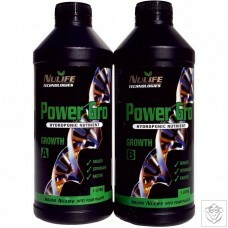 The benefit of this is that there is virtually no interruption to growth processes thus producing better quality plants.